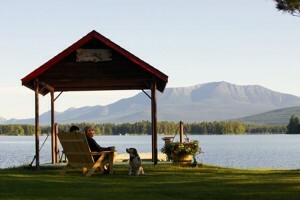 The view from "The Look" on the point overlooking Millinocket Lake and Katahdin. 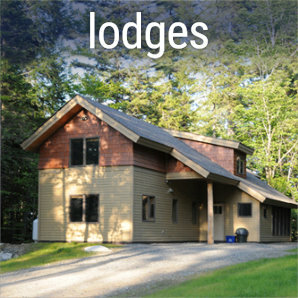 We take great pride in our 20 lakeside lodges and cabins at Twin Pines at NEOC on the shores of Millinocket Lake. 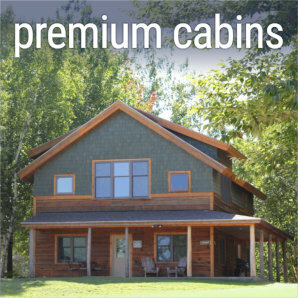 Our cabins (small, large, premium) and lodges (green built) all feature great views of the lake and Katahdin, Maine's highest mountain. 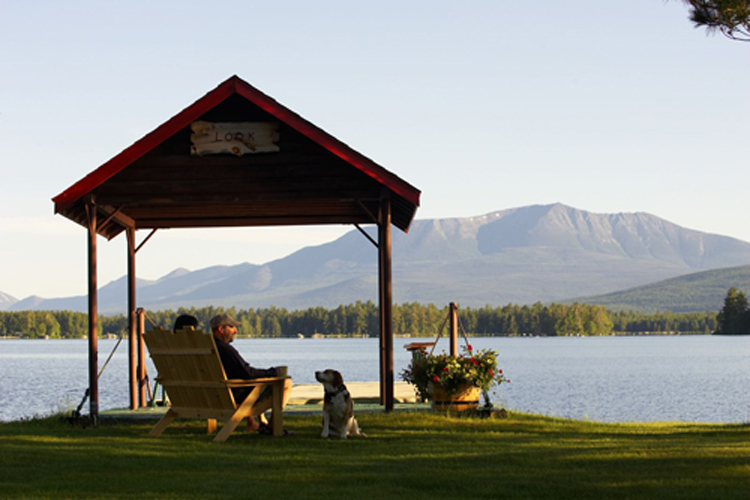 These charming cabins and lodges offer the classic Maine vacation experience. It doesn’t matter how old or adventurous you are, we offer something for everyone. We invite you to paddle a canoe or kayak or swim in Millinocket Lake, play a game of ping pong, horseshoes, volleyball or basketball or shop in our retail store for Maine-Made souvenirs. 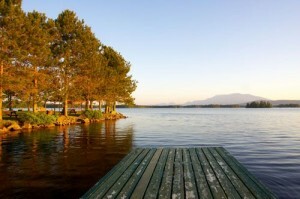 You can also relax, unwind in our sauna or sit back and read a book by the lake. 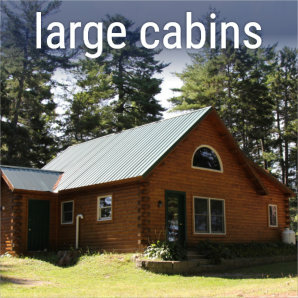 All cabins are heated for use year-round. 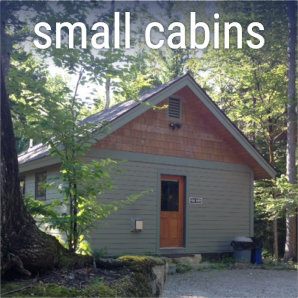 These cabins make a great base of operations for your Maine whitewater rafting adventure vacation. We encourage our guests to book vacation packages as early as possible. Weekend dates and holidays will sell out fast! Book today, call 1-800-634-7238. You can cook your own food or dine at our River Drivers restaurant and pub. 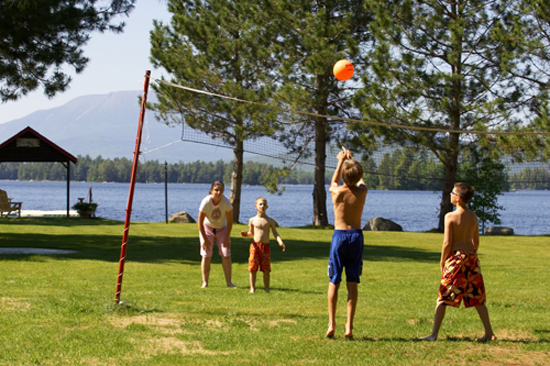 The cabins feature great access to swimming and boating on Millinocket Lake. 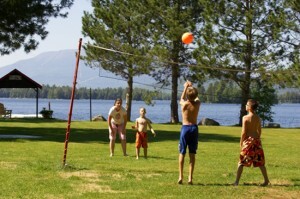 Volleyball and other backyard games are fun for the entire family.